Pawlu Vassallo was born in Mtarfa on September 16, 1923. He started playing football in the wide open spaces of the locality and at the Primary School of Mdina. In 1939-40, he was picked by Rabat FC committee members, Mike Tonna and Victor Naudi, to join their minors team but the outbreak of war interrupted his progress. Five long years had to pass before Vassallo made his second division debut (December 23, 1944) when the Magpies beat Marsa Youngsters 2-1. That season, Vassallo played six matches and scored two goals but Rabat failed to win promotion after they got beaten 1-0 by Ħamrun Liberty in a decider. Vassallo was considered among the most promising players in the game and it was no surprise when, in 1945-46, he joined Valletta, along with the two other Rabat players, Walter Bezzina and Salvu Meilaq. He made his league debut for Valletta on February 2, 1945 in a 3-2 victory over St George’s. Vassallo’s career in the capital, however, started with a hiccup when he was suspended for presenting a double registration. It was not Vassallo’s fault. The mistake was made by the Rabat secretary who failed to terminate the player’s registration and strike him off his club’s books. Vassallo, however, was forced to serve the suspension and did not play that season. In 1946-47, he resumed his career with Valletta in a league game against arch-rivals Floriana which was played on January 20, 1952. This was the start of a long and successful association between Vassallo and City and in 10 years he played 93 matches and scored 26 goals in the league. 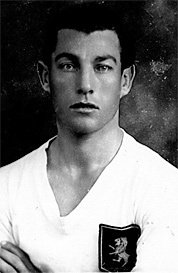 Vassallo won the champion-ship in 1945-46 and 1947-48 although one must add that in 1945-46, he played only one game for Valletta because of the lengthy suspension. He is also noted in the record books for scoring the 2,000th league goal since the start of the competition in 1910 in the match against St George’s, played on March 7, 1948. In 1950, Vassallo again found himself in trouble with the authorities. This time the consequences were more serious as he was originally suspended for two years but the ban was reduced by six months on appeal. The incident happened on May 21, 1950 during the FA Trophy match between Valletta and St George’s. With 15 minutes left, the Saints were leading 3-1. Vassallo fouled one of the Saints’ defenders and referee Hubbard reached for his notebook. Vas-sallo, who had received a lot of stick during the game, lost his head and attacked the match official who had to leave the pitch. The ref’s place was taken by linesman Billy Mock who immediately abandoned the game. When his suspension was over, Vassallo returned to Valletta and stayed with the club up to the end of the 1954-55 season. Then, he returned to Rabat for £300 which was a princely sum in those days. The Magpies were in the top division and Vassallo made his debut for the Magpies on October 2, 1955 in a 3-1 upset to Sliema Wanderers. In the next four seasons, Vassallo played 24 league games for Rabat and scored two goals. Then, in 1958-59 Rabat were rele-gated and this spelt the end of his career. He played only one game in the second division in 1959-60 and when Rabat lost 2-1 against Tarxien Rainbows on October 11, 1959, Vassallo retired.